Our Album Oceans Apart has its roots back in 1985 when the pair of us (Dave Johnson and Phil Corrigan) first met in Co. Durham and decided to start a band together. We quickly wrote a bunch of songs but could never find a stable band line-up so decided to just work as a two-piece. At the time we were called Nirvana and were one of the first bands to play at the newly opened Riverside venue. We played pubs and bars in Durham and Newcastle until finding out that there was another Band from Seattle who seemed to be getting more recognition than us so we changed our name. At the time we didn’t set out with an agenda, or with any particular style in mind, we just did what came naturally to us. Our influences were varied from classical to punk and everything in between. The one Band we both liked was The Doors, and then later the Icicle Works and Divine comedy. Earlier listening for Phil was Elvis, Scott Walker and ‘60’s Ballad singers, and for Dave it was Genesis, The Faces, The Stranglers and OMD. Our initial ideology was to escape from the mundane and strive for something different and better so we tried to capture that in our music. Most two-piece bands playing live at the time were synth duos so we were somewhat different with a more Rock sound and the odd synth pop tune. At the time of playing gigs in Newcastle, we caught the attention of an A&R guy from Elektra Records who was interested in us but wanted us to get a brass section to make us sound more “funky”, however that was taking us too far from how we wanted to sound so the deal never materialized and the band they signed was Simply Red. Eventually we ended up going our different ways in life but neither of us left the music behind. In 2016 Dave (now living in LA) was lamenting the fact that there were no good recordings of the band from those early years, only a few cassettes that were wearing out and so set out to re-record some of the original material from the early days of the band. Tracking down Phil in Co. Durham he brought up the subject and found that Phil was just as eager. 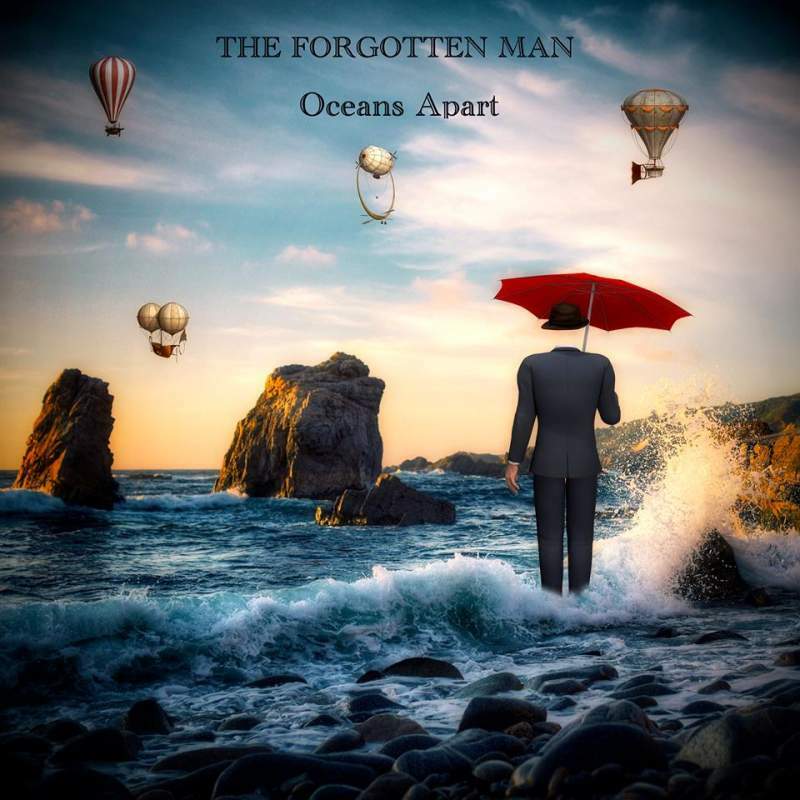 What started out as a few re-recordings has developed into an ongoing project under the name of The Forgotten Man which so far has resulted in the album Oceans Apart consisting mainly of older material from the band, and Back Once More a 4-track E.P. of newer songs. To promote the album Phil is performing tracks from it over the next few months and then later the pair will play gigs in LA. In the meantime, recording continues for the next album. Album available from www.forgottenmanband.com and www.theforgottenman.bandcamp.com, plus all streaming websites. A Spotify playlist of 70’s & 80’s influences can be found here.